Machine orders data from Japan earlier came in at its worst on record. Where to for capex? USD after the elections …. A quieter forex session for Asia today than yesterday as election fever receded and pre-FOMC torpor set in. Regional stock were having none of that, though, these getting a boost from post-election surging US equity markets on Wednesday. On the info and data front today there were some notable developments. Japanese machinery order data came in at its worst drop for a month on record (September data down 18.3% month on month). September was a difficult month for Japan with an earthquake and severe flooding in parts of the country. While orders are expected to bounce back in coming months it remains to be seen how much the unusual events have obscured what may be deeper problems in Japan (such as diminished interest from China for their goods due to tariffs impinging on economic growth there. On that, a brighter note came from Chinese data. While the trade surplus missed expectations (just a little) another huge surge in exports (and imports) is a positive sign. Caution should be noted though as there may still be an element of 'front loading' in trade movements. The PBOC hacked a chunk off the yuan rate again today. On the Treasury watchlist, they don't seem to care. USD/JPY edged higher through the session, not my much though with a 30 or so point range. Its on session high as I update this post. EUR/USD is running along sideways at its low for the day, as is GBP/USD, USD/CHF is running along sideways at it high.These looked poised for continuation into Europe, we'll soon find out. AUD and NZD had a few wiggles. 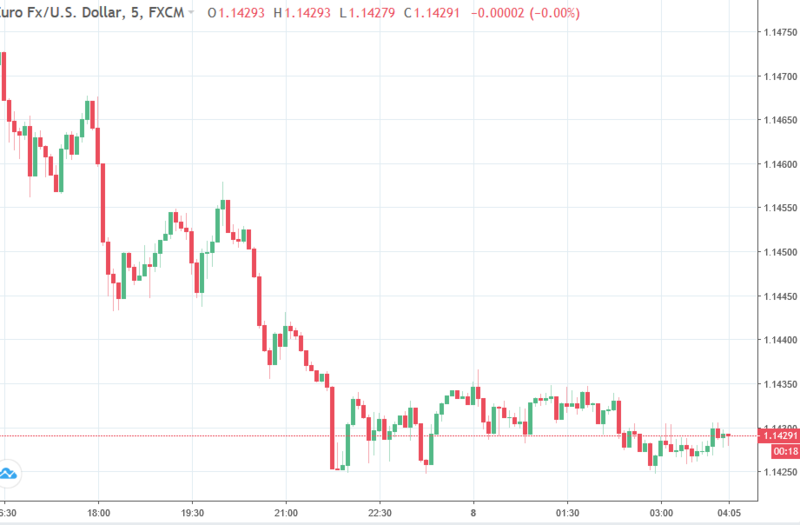 Early NZ time (US afternoon) had the RBNZ announcement (no rate change and a slightly more upbeat statement, i guess that's what you get when unemployment falls to just 3.9%). Gold has lost a few dollars (hardly more than a few cents really). The big event yet to come is the FOMC due Thursday afternoon US time, link to previews below. FOMC meeting today (here are the previews). But note Nov 29 in your diaries too.